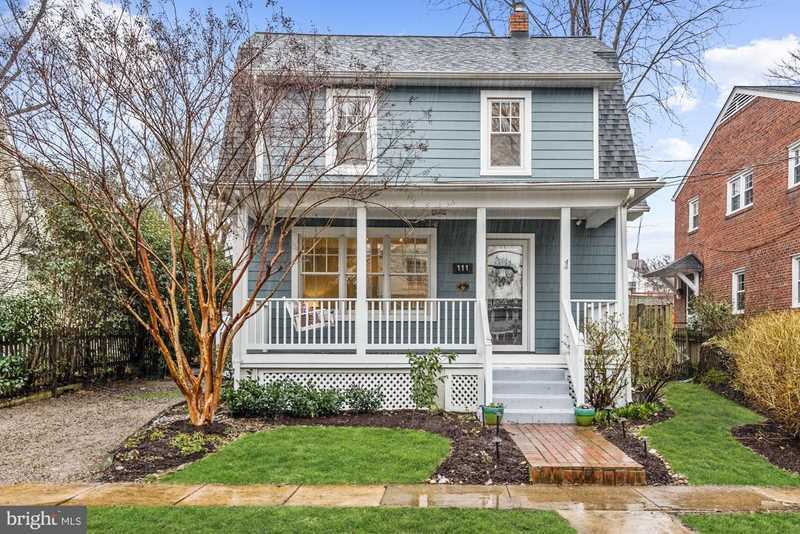 Wonderful, expanded dutch colonial with charming front porch is just one block from Del Ray's popular shops and restaurants. This home was renovated and expanded in 2014. The fabulous open floorplan of the home effortlessly blends the updates for today's living without losing the character of the period of the home. The home features a family room addition, main level powder room and four bedrooms on upper level including master with ensuite bath and walk-in closet. Gorgeous kitchen with sleek cabinetry, beautiful granite counters, expansive breakfast bar, and stainless steel appliances. The light-filled family room has a cozy gas fireplace, recessed lighting, large dining area and French doors leading to the backyard. Side entrance with large hall closet and space for shelving. Fully fenced back yard for outdoor entertaining with playset, zipline and storage shed. Off-street parking. Enjoy living in the heart of Del Ray. Directions:From Braddock Road METRO: West on Braddock, Right on Mount Vernon Avenue, Right on Raymond Avenue. Home has driveway, but if you need to park on the street, please turn right on Randolph, left on Dewitt and Left on Raymond as parking is on the left side of the street. SchoolsClick map icons below to view information for schools near 111 Raymond Ave E Alexandria, VA 22301. Home for sale at 111 Raymond Ave E Alexandria, VA 22301. Description: The home at 111 Raymond Ave E Alexandria, VA 22301 with the MLS Number VAAX209498 is currently listed at $1,140,000 and has been on the Alexandria market for 83 days. You are viewing the MLS property details of the home for sale at 111 Raymond Ave E Alexandria, VA 22301, which is located in the Del Ray subdivision, includes 4 bedrooms and 4 bathrooms, and has approximately 1842 sq.ft. of living area.